The Golmaal franchise is heading to the small screen in the form of an animated television series. Titled Golmaal Jr, it will air on Nickelodeon's Sonic channel this May. 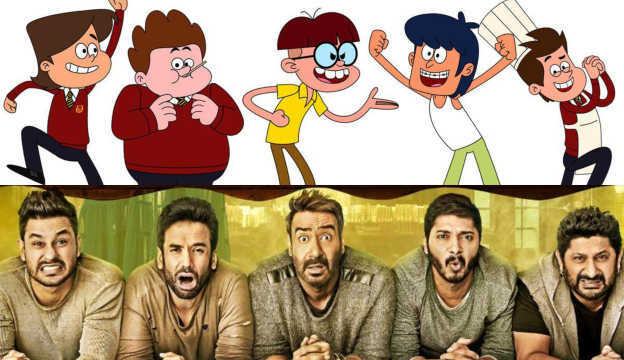 The animated series will take forward the characters of Gopal, Laxman 1 and Laxman 2, Madhav, and Lucky, made popular by Ajay Devgn, Shreyas Talpade, Kunal Kemmu, Arshad Warsi and Tusshar Kapoor. The animated series' characters have slightly been altered - Lucky carries a lollipop in his mouth, while Laxman 1 sports glasses - but retain the mischievousness of the original characters. 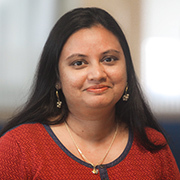 The children's show has been co-produced by filmmaker Rohit Shetty and Reliance Animation. The four films of the Golmaal franchise are Golmaal: Fun Unlimited (2006), Golmaal Returns (2008), Golmaal 3 (2010), and Golmaal Again (2017). Shetty has indicated a fifth film is in the horizon.